Dental radiography is considered to be a diagnostic tool for a proper treatment planning of the disorders of oral cavity like periodontal diseases, diff erent oral pathologies, and dental caries. 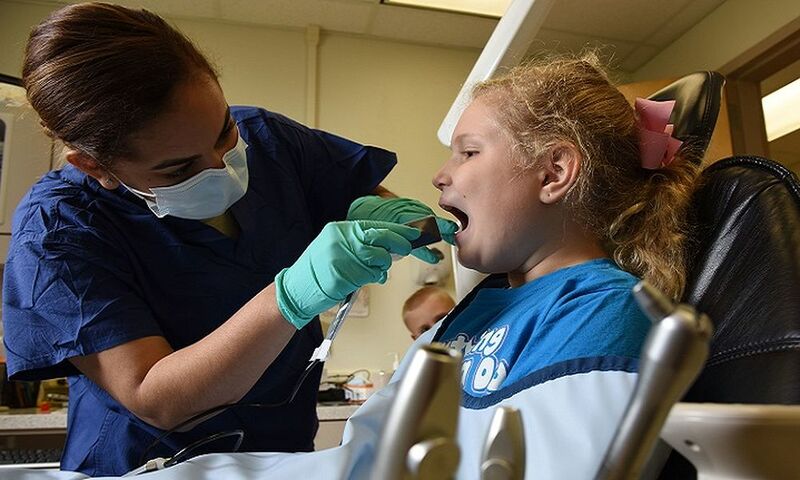 In pediatric dentistry, radiography is a part of daily practice because of its unusual and unique role. As the child is brought in the clinic for the 1st time, radiology has been proven to be an acceptable and a painless method to introduce a child for a dental treatment. The confidence of the patient can be successfully achieved. Thus, this review aims to give a brief overview of dental radiography in children including specialized radiographic techniques and diff erent modifi cations that can successfully be used in infants, in young and handicapped children, children with gag refl ex and mentally disabled children. Introduction : Dental radiology is considered to be best and a useful diagnostic aid for a proper and thorough examination of the oral cavity of a child. It is considered to be the most reliable and valuable diagnostic tool especially for infant, children, adolescent and patients with special health care needs.